If you’re looking for a real powerhouse affiliate review then probably you want to test the powerhouse affiliate marketing training. And you want to know if its actually a legit CPA training program or another Crap. You’re in the right web page. In few Seconds I will be doing a very honest powerhouse affiliate review and showing you if it’s worth your $47 Monthly.. But just before then, It might interest you to know that at the time of writing this review, I have made around $700+ in 3 Weeks as a beginner after taking the CPA training step by step on Powerhouse Affiliate. Why Should you Believe my review on Powerhouse Affiliate Training? I won’t see a review of any program online and quickly jump into it. I need to actually know who’s behind the review. 0.1 So Who I am to Review Powerhouse Affiliate? 2.2 What’s Included when you Signup for the Powerhouse Affiliate? 3 Is The Powerhouse Affiliate Training Worth your $47 Investment? 4.1 So is Powerhouse Affiliate training Legit or Scam? 5.1 What Courses should you take first in the powerhouse dashbhoard? 6 Alternatives to Powerhouse Affiliate? So Who I am to Review Powerhouse Affiliate? Am Prosper Noah and I own this awesome Make Money Online blog and I’ve been studying every area of income for the past 3 years on the internet. I’ve run a couple of reviews on this blog, on other Make Money Online Opportunities and they are all legit e.g. the NNU Income Program, Naira4all and wakanda nation, etc. You need to trust my review because whatever I share with you here on the blog are what works for real. I know how hard it is to ever trust these online training and make money online stuffs again considering the fact that many end up being scam. So I came across Powerhouse affiliate training program earlier and decided to test the program if really it works or not. and BOOM, I invested $47 into their training, after taking the training step by step, here’s what I think. 90% of my friends on facebook are Internet marketers so I happened to come across Powerhouse affiliate training. I saw lots of testimonies about the cpa training and so decided to try. I try every make money online opportunity and if it works I share with you, if it doesn’t I simply leave it. Yea, I take all of the risk for you, because I love you and there’s nothing you can do about it lol. so in a bit this powerhouse affiliate review post will let you know if its legit or scam. But before then, just incase you are new you may want to know what Powerhouse affiliate training is all about. I won’t waste your time one bit. In few minutes you’d come to know if this is worth investing your money. When you visit the Powerhouse Affiliate website what comes to your mind? It’s actually a CPA & Affiliate Marketing training program where you are thought the ins and out on affiliate marketing and cpa to make money online. When you take these training, you become good in doing affiliate marketing or cpa and earn commissions online. What’s Included when you Signup for the Powerhouse Affiliate? Before you register into any program you want to know the benefits. I have personally taken this course in the powerhouse dashboard and it’s awesome and beginner friendly if you know nothing about affiliate marketing. Basically Affiliate Marketing is what makes me 6 Figures Monthly on this blog. This one has to do with how you can build a long term online business that will keep earning you money. Here they teach you step by step how to setup an affiliate website easily and fast plus tips and tricks and even tools you need to be successful. This is the Cost per Action aspect where you make money online even without making a sale. They put you through what CPA marketing is all about and how you can apply to different CPA networks and promote your offers to earn huge amount. The CPA traffic surge is a step by step training specially on how you can choose high converting offers, promoting them the right way using different paid and free traffic sources. 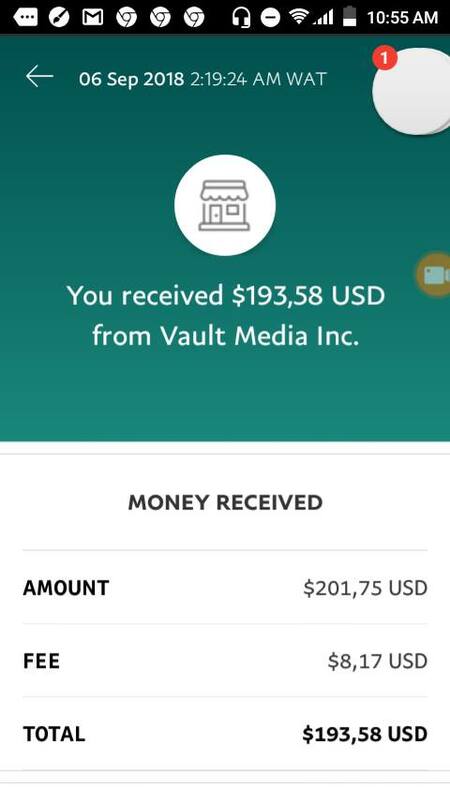 This is the one am personally taking and made around $700+ so far within less than a month since i joined the training. As a member, you may need a landing page at some time which requires you buy hosting, but as a powerhouse affiliate, you get free hosting for 6 Months. The bad news is that I won’t be able to share with you everything in the powerhouse affiliate training dashboard because it has to be private. The good news is that there are lots of lessons and training plus tools and live case studies you will meet after signing up yourself into the training. Is The Powerhouse Affiliate Training Worth your $47 Investment? I haven’t really faced any difficulties but If I’m to suggest what they should improve on its definitely to work on creating a live Chat. This will enable them reply members easily and fast. So yes, it’s worth every penny. I joined this Program earlier August 2018 and I’ve gone through every courses and applying what I learn especially the CPA marketing aspect. It’s been awesome and I’ve been paid 4 Consecutive Fridays totaling around $800+. I’ve been able to build a 500 Email List of subscribers where I can promote offers to and make money over and over again. Money is in the list right? 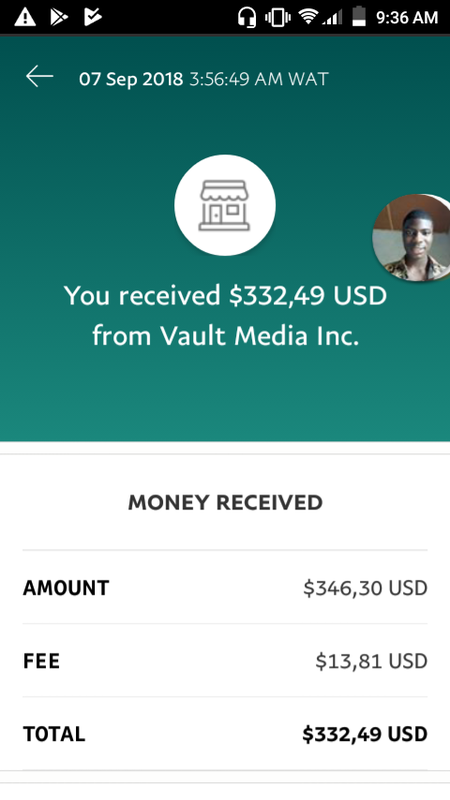 Let’s say I promote a $5 Email Submit offer to those 500 Subscribers, That’s around $2500 within a day. One great advantage with building list is that you can always promote similar offers to them. All this was done through the training in the Powerhouse affiliate dashboard. and I plan to scale everything and make at least $500 Weekly to PayPal. So If you follow this article and registration procedure, you’re guaranteed to start making money with affiliate marketing or CPA after taking their training step by step and applying what you learn. So is Powerhouse Affiliate training Legit or Scam? Now that you know this training is legit and not another scam online, the next thing is how to register and start training ASAP. I would walk you through the registration step by step. Powerhouse affiliate registration fee is $47 Monthly. What Courses should you take first in the powerhouse dashbhoard? After signing up successfully you need to click on COURSES and take them accordingly but if you want to go straight into CPA marketing, I suggest you try the ones I took. CPA Display Academy (More advanced into cpa marketing and they share some done for you cpa campaigns you can copy and paste to make money). CPA Traffic surge ( You will see this at the end of the CPA cash vault 3.0 training) It’s where teach you A-Z how to drive traffic to your offers and earn. When done with these training, you need to apply to their private cpa network. Just click on the CPA network button from your dashboard and Signup right away. And BOOM, within 24 hours you will get a reply from them. So you may start promoting offers and making money. At the moment I haven’t used a cpa affiliate marketing training such as the one of powerhouse but I will update this Page soon if I happen to come across another. The powerhouse affiliate premium gives you instant access to the premium courses, webinars and many more. This is what you actually signup for not the free plan. The coupon code field you see on the powerhouse registration page is a special code you may use to signup at a discounted fee. But none is available to share with you now. So I hope this my powerhouse affiliate review post helps you make a good decision. Powerhouse Affiliate teaches you from A-Z how to make money with CPA and affiliate marketing easily and fast. Apply what you learn and get results. Hello, wonderful review you got here. I’m interested. How do I contact you so you can mentor me about it?